A loving, treasured and devoted husband, father and grandfather, born on July 11, 1919, passed away from this life on March 29, 2019, after a long and courageous battle with Dementia; with the assurance of his salvation. Fred was always aware of and would say how lucky he was to have lived so long. He was almost a 100 years old! Born the son of Italian immigrants, who traveled by steamship to the United States from Naples, Italy in the early 1900’s seeking to assimilate and eventually earn their citizenship and become Americans. He was the youngest in a family of six children. Schooled in Endicott, Fred took advantage of and enlisted in the Civilian Conservation Corps (CC Camps) for two and half years during the Great Depression. Fred was drafted into military service two months after the Japanese attack on Pearl Harbor. He dutifully and proudly served his country as a soldier in the 10th U.S. Army 24th Corps on the Hawaiian Islands, Eniwetok Atoll, Guam and Okinawa. He later served in Inchon and Soul, Korea with the U.S. Army of Occupation. He was a member of the American Legion, Post 1700, past member of the Veterans of Foreign Wars and was a life member of the Disabled American Veterans. He was a Roman Catholic and a member of St. Anthony of Padua Church. Fred was retired from the GAF Corporation. Fred loved the sport of Boxing, Union-Endicott Football, Yankee Baseball, playing his harmonica, collecting coins and playing cards. He was a great cook as well. Perhaps Fred will best be remembered for his fun personality and wonderful sense of humor. He was a master of the “one liners” and always added humor to a conversation. He was upbeat and maintained a positive attitude and was always ready to help his family, friends and neighbors in time of need. Fred flew away to meet his lovely bride, Irene (Cordilione). He is also predeceased by his parents, Giovanni and Caroline Pia (Musa) Vasconi; his sister, Isabel (Rogers); his brothers, Dominic Scarchilli, Louis, Frank and Americo Vasconi; his grandson, David Cosentino. He is survived by his loving daughter, Gloria Cosentino of Charlotte, NC; his son Fred; his granddaughter, Pia Vasconi both of Tampa, FL and many nieces and nephews. The family is appreciative of Sr. Anisia Muthoni for her visits and administering the Sacrament of Holy Communion. We are also very appreciative of the assistance provided to him over the years by his niece, Laurie Novak; great nephews, Steve Rogers, Jr. and Paul Novak. The family thanks and recognizes the many Nursing Assistants, Nurses, Therapists and Social Workers that tended to and assisted Fred during his nursing home years at Absolut and to our dear friend and neighbor, Pastor Ralph Trozzi for his frequent prayer and friendship visits. 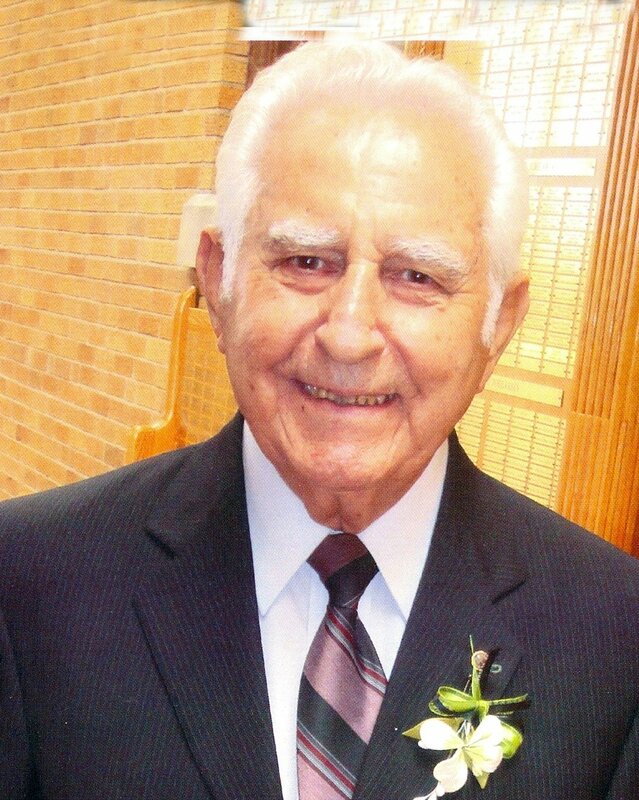 Funeral services will be held, Tuesday 9:30 AM from the Leon Pucedo Funeral Home, Inc. 1905 Watson Blvd. Endicott and at 10:00 AM at St. Anthony of Padua Church 306 Odell Ave. Endicott where a Funeral Mass will be offered. Entombment will follow in Riverhurst Cemetery, Endwell. The family will receive friends at the Pucedo Funeral Home on Monday from 5 to 7 PM. In lieu of flowers or maybe when you think of Fred, consider visiting a sick or shut-in American Hero, our American Veterans. Maybe buy them a cup of coffee or just a handshake thanking them for their service…..Fred would appreciate that.